Obviously, the mother is MrSoul’s Genius clone, however the male selection needed to be just the right compliment to capture her qualities in the progeny. Call it good karma, but when they grew subcool’s award-winning Vortex (Apollo13 x Space Queen) cross, those seeds produced a very unique male to compliment Genius. 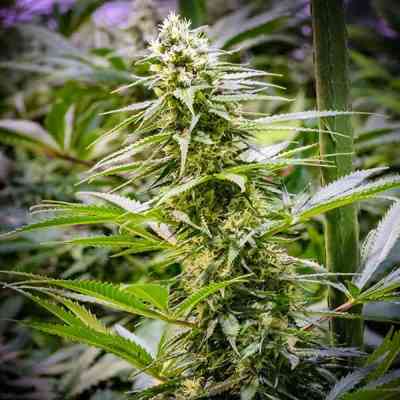 The Vortex male combines with Genius to produce squat, branchy plants with tropical scented flowers bursting out of every bud site on the long, sticky colas. Smoke has a citrus-tropical flavor as it expands in your lungs, delivering a speedy rush of euphoria and crippling psychoactivity. It’s simply Genius. Morphology: Green Avenger grows a big, thick cola and her strong branches support fat, dense buds covered in sparkly resin that reeks of over-ripe tropical fruit. 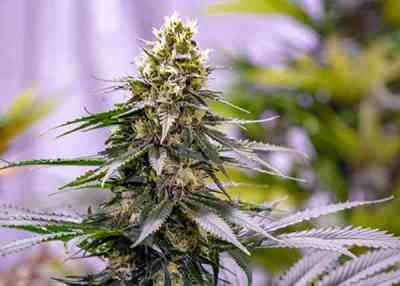 Sativa-dominant, yet the flowers are tight, dense nuggets of resin-encrusted calyxes. The phenotype of this strain is very uniform. How Does It Smoke? Green Avenger buds are almost Indica-like. The big, dense, resin encrusted spear heads are sparkling deep green and orange colors. Crush a bud and it gives off a sweet and pungent aroma and when you exhale the first puff, with the characteristic citrus aftertaste from Genius. The high is uplifting and cerebral, yet a bit paranoia-inducing to the uninitiated. 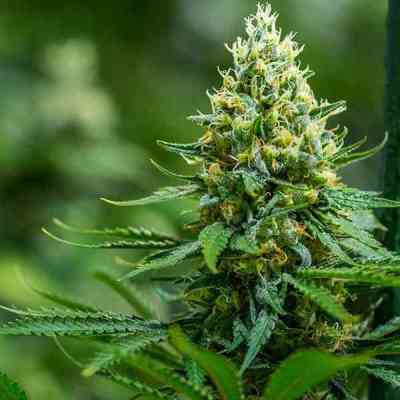 Growing Notes: Grow Green Avenger in the natural “Christmas tree” shape - pruning the inner-most nodes from the branches to encourage huge colas to form on the end of each branch. Provide support as necessary, but they are strong plants.